Barcelona has an incredible array of history, architecture, art, music and heap loads of culture to cater everyone! 1. Sagrada Famillia & Park Guell – The Sagrada Famillia is a must as it’s strange architecture and design is high up on the list of things to see in Barcelona. 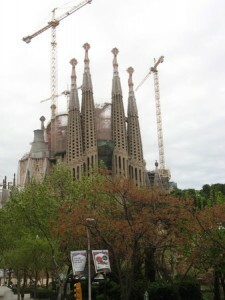 The astonishing unfinished church in Barcelona designed by Gaudí as his last project and he is even buried inside. 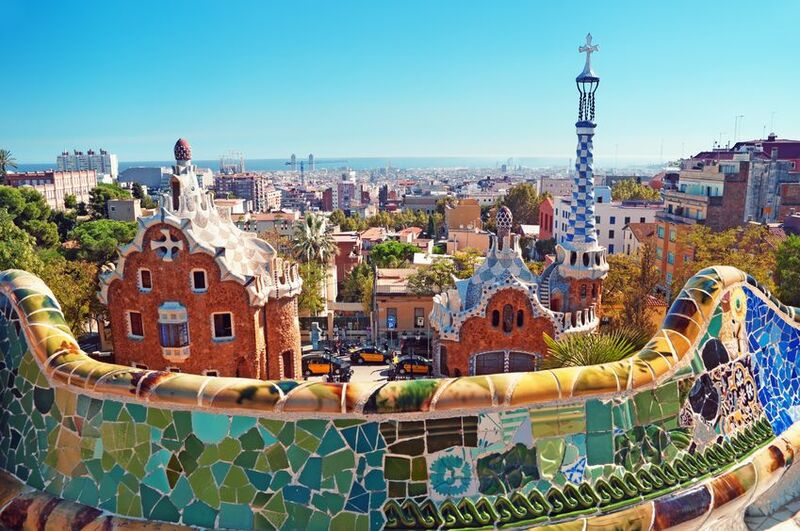 The other fine designs of Gaudi is Park Guell which is a must for lover of great architecture, art and design. Both attractions always have huge queues so either get their early or alternatively buy tickets before hand to save time on waiting! 2. Go to the Beach – Barcelona is blessed to have many beaches and to be one of the cities right on the seafront. There are so many beaches in Barcelona and we highly recommend the Barceloneta if you want the busy touristy-esque beach, Nova Icaria for all you surfers, kayakers and adventurers out there. Alternatively you also have the Bogatell beach which is a little calmer and out the way if you want to be a little further out in a more chilled atmosphere. 3. 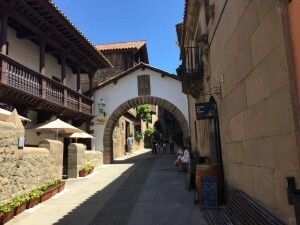 Poble Espanyol Museum – The Poble Espanyol is a great open air museum first built for the world’s fair which has the best architectural sites of Spain/Catalonia craftsmanship. There are amazing sites which would be great for couples and families with the chance to view glassblowing, eat delicious tapas and view the beautiful art and view beautiful gardens and agriculture. Top Tip: If you buy a ticket for the evening flamenco and dinner show you will be able to enter within the afternoon and still see all of the museum all within the same price! 4. 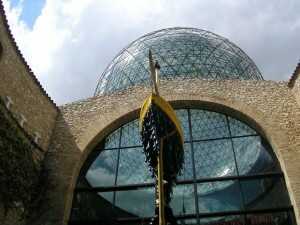 Salvador Dali House & Museum – One of the pioneers of surrealism and one of the greatest self publicists Salvador Dali was born within Spain and his house as well as his designed museum have been opened up to view a short trip away in Figueres. This is a great trip for Dali and art fans alike allowing you to view the amazingly surreal creations as well as take a look into art’s most eccentric men. This can be booked as a tour by contacting Ember Travel. 5. 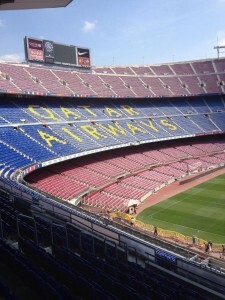 FC Barcelona & Camp Nou Stadium Tour – Last but not least is the Nou Camp stadium situated in the heart of Barcelona. This is an amazing tour as well as a huge stadium which is interesting to view for non football fans. Camp Nou is the home of FC Barcelona but their logo states this is more than just a club, also hosting concerts, ice hockey, basketball, rugby and so on. For those huge football fans why not book up a match and watch the legends of the future play along with being apart of the match day atmosphere? BARCA.. BARCA..
Be sure to check out this beautiful city whether you are stopping off on a cruise or planning a short break away! Perfect for families and couples with the non stop atmosphere, or chilled to suit your needs. Take a look at some of our Barcelona deals! We highly recommend a bus sightseeing tour for a speedy way of seeing the whole city and then you can hop off and on as you so wish! Contact us to book up any attractions which we now offer around the world!